Ed Atwill is a native upstate New Yorker with an International MBA degree, from Thunderbird Graduate School of International Management. He spent 30 years in the printing paper and packaging business in sales/marketing and operations mgmt. positions, living and working in Hawaii, Northern and Southern California, Chicago, and Boston, prior to his 1994 move to the Finger Lakes. 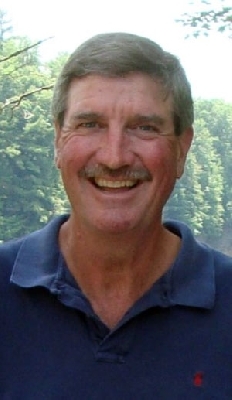 Ed founded Seneca Springs Resort in 1994. He and his wife, Cindy, developed the business into a unique, luxury property. They sold their boutique resort in 2014. In 2004, Ed obtained his realtor salesperson license. While learning the ropes, he recognized the Finger Lakes as a unique, newly discovered treasure, that needed to move "to the next level," in order to achieve long term, quality growth. In 2007, Ed completed the sale of a long abandoned, prominent commercial building to the county municipal authorities. The remodeled complex provided cost effective social services upgrades for the community at large. In a win-win scenario, Ed achieved the asking price for his client, while helping save the government and taxpayers the additional millions a "green field" facility would have cost. An added benefit was the beginning of a commercial resurgence within the local community. In 2007 he obtained his broker license, founding Vineyard Lakes Properties, LLC in early 2008. A key goal of Vineyard Lakes Properties, LLC is to attract qualified, talented investors and residents to the Finger Lakes; those with an appreciation for the beauty and future prospects of the region. In October 2008, Vineyard Lakes located and negotiated the client purchase of a truly gorgeous, 150 acre Cayuga Lake dream property, containing substantial lake frontage, gorges, waterfalls, a classic 1920's barn, ideal vineyard slopes, old hardwood forests, and incredible vistas. The buyer calls the property "his own personal state park." Hard work, creativity, and tenacity helped Barry find his "deal of the century." Continuing real estate activities have focused on the development of our area's wineries, vineyards, micro-breweries, commercial, and lake view/front residential properties and private compounds. We have located and completed transactions for a distillery, wineries, vineyards, a brewery, hospitality businesses, and lakeview/front residences over the past several years. Let us help you live your dreams. For more information on Vineyard Lakes Properties, LLC and our unique client/project focus, please contact me at (607)546-2984,e-mail: edatwill@htva.net, or visit the Vineyard Lakes Properties, LLC website.